Just go to our “About Me” tab and click on the link! Download for FREE!! Check out Amazon, B&N, and many other great places!!! As a longtime political reporter and mother of two teenagers, Marilyn Rauber was certainly in the hot seat when it came to drama. Combining the two — and all the scandal, real and imagined, inherent in both — wasn’t much of a leap for Rauber and co-author Amy Reingold, who last month released “Capital Girls,” the first in a trilogy of books about teenagers in the turbulent political world of Washington, D.C.
“It’s ‘Gossip Girl’ meets ‘The West Wing,’ ” said Rauber, 59, who spent several years of her journalism career in South Carolina, covering politics for The Greenville News. A couple of “empty-nest moms,” Rauber and Reingold decided to tackle writing a book — a first for both — after watching their children enter the political arena during the 2008 presidential election. Both Rauber and Reingold, who publish together under the pseudonym Ella Monroe, had daughters who had just turned 18 and were voting for the first time. “It was interesting to see kids their age interested in politics and gave us the idea of writing a book that would appeal to young adults that also incorporated politics,” said Rauber, her Australian accent softened after decades in the United States. Through her years of reporting, Rauber had seen how, even when their parents tried to shield them, politicians’ kids often come under the media spotlight, and she drew on that experience for “Capital Girls,” about a quartet of teenage friends in the inner political circles of Washington. One, who is the daughter of the White House chief of staff, is dating the president’s son but finds herself involved with a guy from the other end of the political spectrum. When one of the girls is killed in a mysterious car accident, their friendship is shaken and secrets begin to surface. The initial idea for a book had been bandied about by a group of friends, several of whom were former reporters, who gathered regularly for coffee. “It’s hard to do group projects … so nothing ever happened,” Rauber said, but a seed was planted. Rauber said she and Reingold didn’t model the characters after their own daughters, but did draw on their experiences and rely on their input to make the girls’ experiences real — and their slang contemporary. One character, Laura Beth, is a “good Southern girl” from Charleston. “I had a lot of fun drawing on my South Carolina roots for that,” Rauber said. “(We) wanted to show strong women who were not just leaders in their community but also role models for their children,” she said. In fact, both the president and the chief of staff are women. Rauber, who goes by Maz, got started in journalism in her native country, alongside fellow reporter and eventual husband Charley Keyes, an American. When Keyes turned his career to broadcast journalism, Rauber followed him to Greenville, where she covered state politics and later national politics, which took her to Washington for the first time. She would eventually make her home there, becoming a political reporter for The New York Post. She left the paper in 2001 and focused primarily on freelance work until she and Reingold decided to tackle “Capital Girls” in 2009. It was released in August, but even before it was available on bookstore shelves, the rights had been purchased for a possible TV series, Rauber said. The second book, “Secrets and Lies,” is set to be released in November. 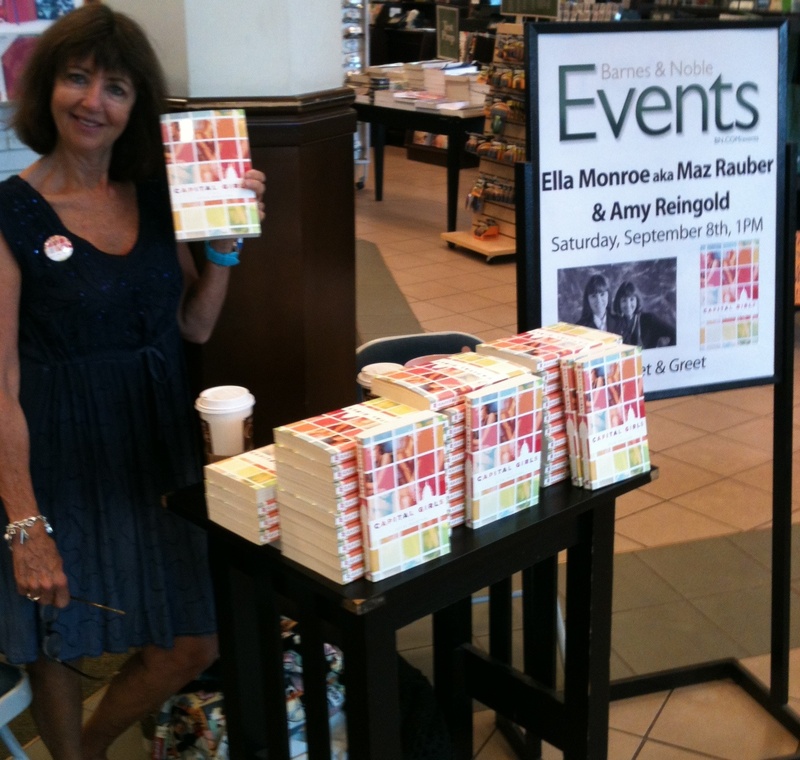 We sold lots of books and met lots of readers at the Bethesda Barnes & Noble! BROWSEABOUT BOOKS, the fabulous independent bookstore in beautiful Rehoboth, Delaware, hosted a CAPITAL GIRLS book signing. We had a great time meeting lots of happy book readers and signing lots of books!